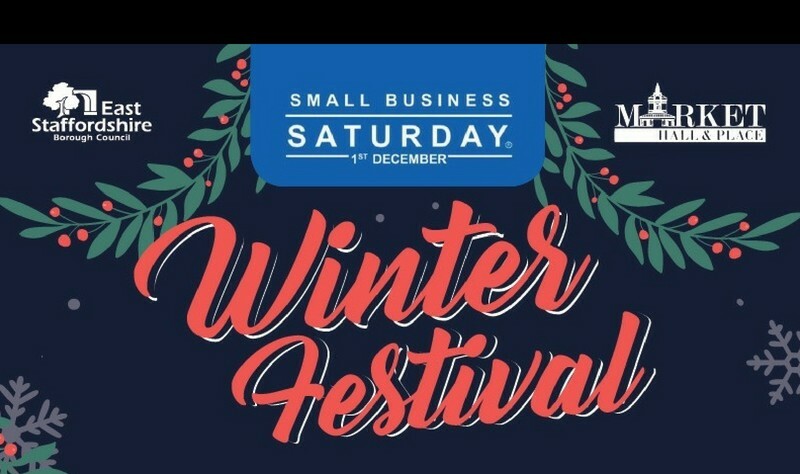 December 1 is Small Business Saturday across the UK, and in Burton it is being marked by the first-ever Small Business Saturday Winter Festival, being organised by East Staffordshire Borough Council and our own Burton Small Business team. All indoor stalls at the Market Hall have now been booked, and there is a waiting list. But, at the time of writing places are still available outside in the marketplace where there will also be live entertainment all day and, at lunchtime, the presentation of this year’s People’s Business Awards to two DE14 businesses by the Mayor of East Staffordshire Councillor Chris Smith. A host of independent small businesses, who would not normally have market stalls, have already booked to be outside so they can join the celebrations for the massive contribution that small businesses make both to the local economy and the local community. A festive atmosphere is promised with twinkly Christmas lights, Father Christmas and music from acts including the StageScreen students; Crescendo Vocal, saxophonist Kevin Goodall and local singers Monica Dunbar and Jaimi Shrive. Stalls booked for the outside area include one of this year’s #SmallBiz100, Lisa Satchwell, who will be selling organic health and wellness products. There will also be a stall for local book publisher Green Cat Books who will be sharing how they help first-time authors as well as selling a host of books they have published that would make great Christmas presents. Anna Roebuck, who has designed and made the two special trophies that the Mayor will be presenting between 1pm and 2pm to winners of this year’s People’s Business Awards, also has an outdoor stall for her artwork and jewellery. If you get peckish there will be Thai Cusine as well as freshly-cooked Welsh Cakes. The East Staffordshire Fairtrade Group will be selling Fairtrade chocolate too. If you want to bag one of the last remaining outdoor stalls, please contact the Markets team on 01283 508850, or email markets@eaststaffsbc.gov.uk, with any questions. You can also book online at www.eaststaffsbc.gov.uk/markets/winter-festival.